CNBC.com video above published May 11, 2018: NYU professor Scott Galloway discusses Facebook $FB CEO Mark Zuckerberg, comparing him to historical dictators. 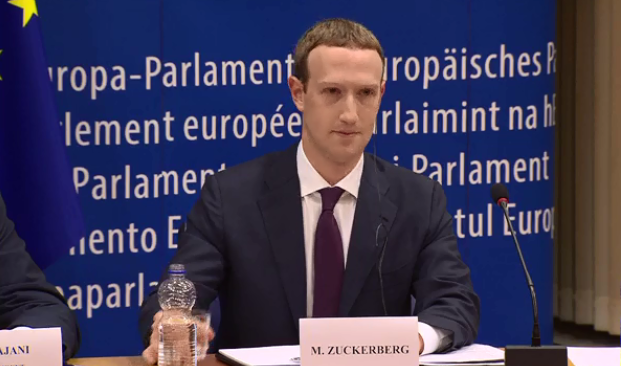 Note: On Tuesday, May 22, Zuckerberg meets with members of the European Union Parliament. The appearance reportedly will be livestreamed here 18:15 to 19:30 in Brussels which means it starts in the U.S. at 12:15 EDT and 9.15 a.m. PDT. See EU Press Release May 21, 2018. Facebook, Inc. (principal domain: Facebook.com) is a US-based online social media and social networking service company with headquarters in Menlo Park, California. CNBC.com video above published May 14, 2018: Recode managing editor Ed Lee discusses Apple CEO Tim Cook’s commencement speech at Duke University.